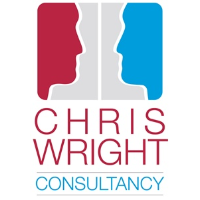 Chris Wright Consultancy has been successfully providing marketing and communications consultancy and support to schools, academies and local government services since 2006. The support that I provide is very hands on and I spend most days working within schools and educational institutions alongside their senior leadership and management teams. I am based just outside St-Albans in Hertfordshire but work across the UK. I have been working in marketing and communications for the past 25 years and I am a Chartered Marketer and an Accredited Marketing Consultant. I have been working within the education sector for the past 11 years and have extensive experience of working with maintained schools, academies, MATs, all-through schools, free schools, teaching school alliances, SCITT providers and local authorities. During this time I have supported schools and academies with many aspects of their marketing and communications. My work in this area has included strategic advice and planning, Free School and new joiner consultations, reputation management, brand development, public relations, crisis management, recruitment marketing and general marketing and communications advice and support. I also proactively manage marketing and communications on behalf of schools providing full hands-on support. Prior to forming the company I held many 'client side' and 'marketing agency' roles in both marketing and the media including an Account Director at a marketing communications agency in London, a Marketing Consultant on behalf of Business Link for London, a Promo Director for Sky televisions business channels and various business development and marketing or communications roles. During my business career I worked on marketing and communications projects for a wide range of well-known organisations including Tesco, First Direct, Bosch, Alton Towers, Hertfordshire County Council, HSBC, Luton Borough Council, SCOPE, Middlesex University, Veolia Water, DEFRA and The Children’s Trust Partnership. I also own the website and software development company ‘Chris Wright Systems’ which won the TES Outstanding School Website of the Year’ award for the Sir John Lawes School website back in 2011. I provide marketing and communications consultancy and support in its widest sense, from detailed audits, strategic planning and specialist advice through to the hands-on management of communications across all types of media.